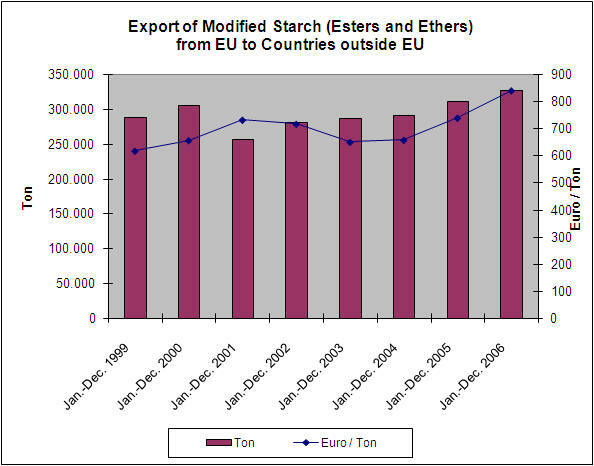 International Starch: EU Starch Trade Statistics. Trade less than 250 t is ignored. 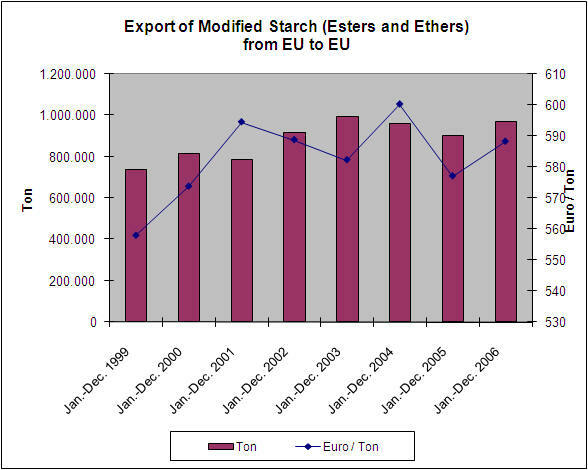 INTRA & EXTRA EUROPEAN UNION STATISTICS. 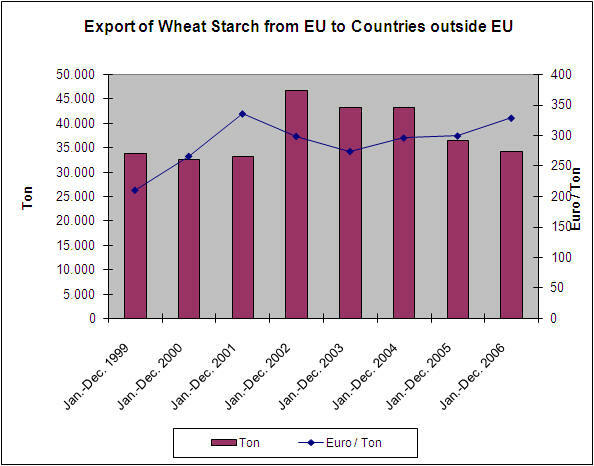 The prices are calculated in EUR per kg FOB. The seller obtains this price plus an export restitution.